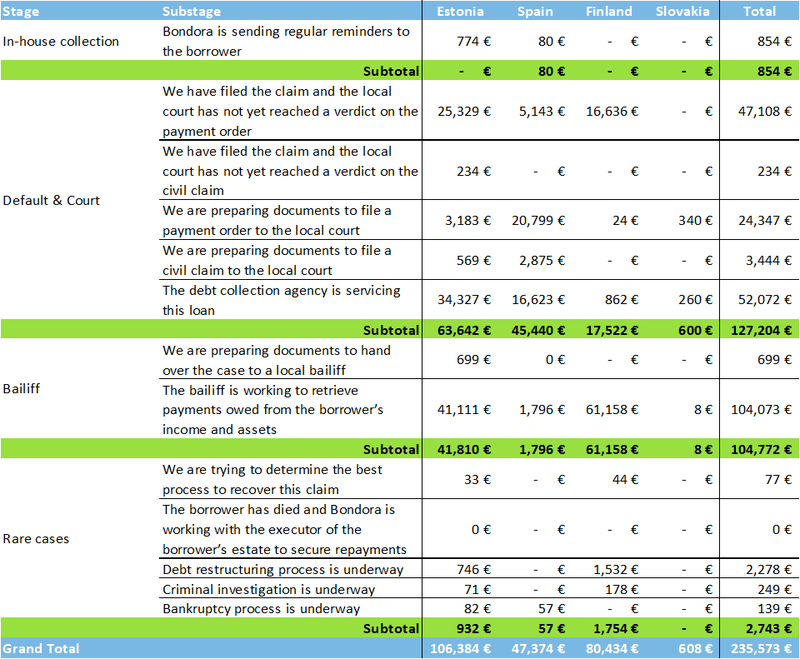 The total amount of cash recovered in March 2018 was €235,573 (+16.6% since last month). When looking at the table above, it shows how effective each stage of the process is at recovering cash owed to investors and can help you understand why some stages are more effective than others. If you haven’t already read about our ‘3-step collection and recovery process’ and March’s post then we would recommend that you check them out first. The most noticeable change in March was the increase in cash recovered in the bailiff stage compared to the previous month, mainly in Estonia and Finland. As more court cases reached a final decision in our favor, they were then handed over to the local bailiff who began to work on retrieving payments owed to investors from the borrower’s income and assets.